We welcome our first SSTI-Kauffman Interns: Cathleen McComas and Nakisha Fouch. Cathleen is a graduate student in public policy and management. Nakisha is pursuing her bachelor's degree in economics. Funding for the SSTI-Kauffman Intern Program has been provided by the Ewing Marion Kauffman Foundation's Center for Entrepreneurial Leadership. We are sorry to say goodbye to Ellen Moore, SSTI's Services Coordinator. Last week, the House and the Senate approved the concurrent (final) budget resolution for FY 1997. The $1.63 trillion spending blueprint establishes broad spending targets for the coming fiscal year. Nondefense R&D is budgeted at $32.2 billion in FY 1997, down from the FY 1996 total of $32.7 billion. The General Accounting Office (GAO) has released a report, "Tax Policy and Administration: Review of Studies of the Effectiveness of the Research Tax Credit," that concludes that much uncertainty remains about the responsiveness of research spending to tax incentives. There was mixed evidence that the amount of research and development spending stimulated by the federal credit equals or exceeds the cost of the lost revenue. The International Institute for Management Development has released its annual World Competitiveness Yearbook, and the United States has reclaimed its spot atop the list. The U.S. was followed by Singapore, Hong Kong, Japan, and Denmark. Milwaukee, St. Louis, and San Diego were named to receive a National Science Foundation (NSF) grant for developing system-wide reforms in K-12 science, mathematics, and technology education. The awards are part of NSF's Urban Systemic Initiative. The initiative supports science, math, and technology education reform in cities with the largest number of school-aged children living in poverty. Thirteen individuals have been named recipients of the National Medal of Science and the National Medal of Technology--America's version of the Nobel Prize. Among those honored was a director of one of New Jersey's Advanced Technology Centers. A Missouri businesswoman was named National Small Business Person of the Year by the Small Business Administration. Phyllis Hannan, president of Laser Light Technologies, received the award last week as part of the SBA's Small Business Week (June 2-8) celebration. Small Business Week is designated each year to honor the nation's small businesses and to highlight their contributions to the national economy and their local communities. The National Science Foundation (NSF) and the Semiconductor Research Corporation (SRC) have created the NSF/SRC Engineering Research Center for Environmentally Benign Semiconductor Manufacturing. The new center will study the environmental, health, and safety aspects of the semiconductor manufacturing process. The Florida Manufacturing Extension Partnership (FMEP) is seeking a Director who possesses the skills that are needed for the corporation to excel. The applicant should be an innovator and entrepreneur as well as a leader and a team builder with excellent communication skills. The State Science and Technology Institute has launched its home page on the World Wide Web. The site serves as a one-stop resource for cooperative technology program managers. 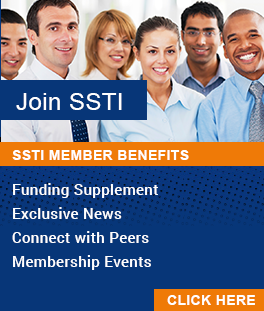 The site provides information on SSTI activities including information services and research. Small and medium-sized manufacturers looking for assistance in solving technical and business problems now have improved access to the Manufacturing Extension Partnership (MEP). MEP is a nationwide network of locally managed centers in 42 states and Puerto Rico offering technical assistance to smaller manufacturers.